Titanic with Len Goodman re-aired July 2013. A unique account of one of the greatest disasters in history. 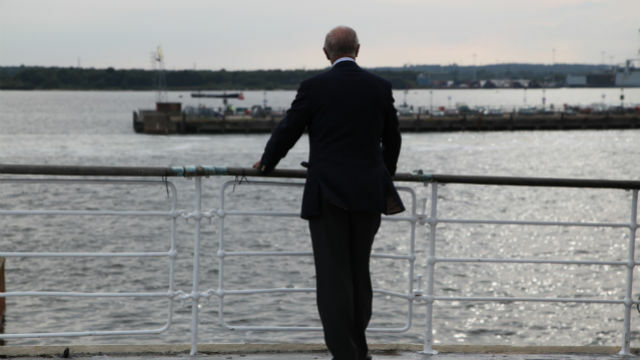 To mark the centenary of the tragedy, Titanic with Len Goodman explores the ship's enduring legacy and uncovers how for victims' families, and for the survivors, the sinking was just the beginning of the story. Generations later, these stories are still unfolding as we meet the modern day descendants of the shipbuilders, passengers and crew to learn how, 100 years after the sinking, Titanic's legacy lives on. Program host Len Goodman at the Titanic docks. Len discovers how the Titanic claimed the lives of eight men before it even touched the water and tries his hand at riveting, experiencing firsthand the blood and sweat that went into building a ship a century ago. The program reveals how eight Belfast men helped build the Titanic, then sailed on it and were among those who perished when the ship sank. Their stories are brought to life as Len explores the very building, now derelict, where they once worked. In the port of Southampton, England, we find out why it was the city hardest hit by the Titanic's death toll and meet the descendants of the crew who describe just how traumatized the disaster left their relatives. The story of the Titanic's band is one of the best known from the ill-fated voyage, but few have heard how the death of one of the musicians tore his family apart for 100 years. Len meets the descendant who tells him how and why. In London, England, the men whose wealthy ancestors survived the tragedy recount how their relatives paid for their survival with ruined reputations. Len also learns that even a century after the tragedy, the Titanic still sometimes casts a shadow over their families. Then, two Titanic historians uncover the life of a stewardess who survived the disaster, only to disappear afterwards. Her story leads them to a modern Belfast family who, until now, had no idea they had a Titanic connection. Through the stories of two Irish brothers in steerage, Len discovers that, on the Titanic, having money could save your life and reveals the statistics that show how the price of your ticket reflected the value of your life. The special concludes with Len's take on what makes the Titanic story special — and why it's one that still fascinates us today. Titanic With Len Goodman was produced by 360 Production Ltd.
© 360 Production Ltd. All Rights Reserved. Photos courtesy of Stephanie Seabrook, © 360 Production Ltd.
Own this DVD to explore the legacy of the doomed liner 100 years after her sinking.